Since I just posted My 2018 NaNoWriMo Experience, there’s really no need to give an update. However, in today’s entry of Your Novel: Day by Day, Mary Anna Evans says that I should be on page 259 of my manuscript. I have 454 pages, and I’m not even to the middle of Julianne’s story. I have a long way to go! What about you? 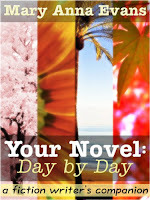 Did you decide to participate in NaNoWriMo? If so, how’d you do? Not counting today, there are thirty more days left in 2018. How do you plan on spending your time? If you are just now tuning in, Your Novel, Day by Day: A Fiction Writer’s Companion is a book written by Mary Anna Evans. On January 1, 2018, I made a yearlong commitment to complete my novel by following along the daily exercises in this book. 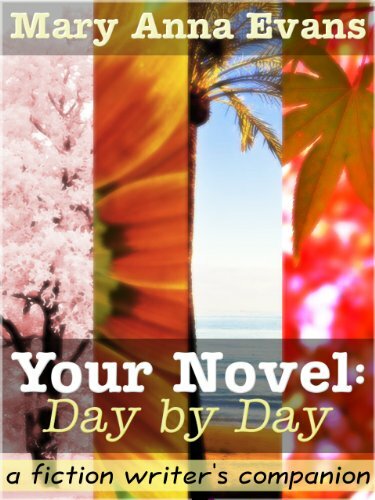 These exercises are 365 essays designed to guide the novel writer from start to finish. Topics range from planning, writing, editing, and publishing.